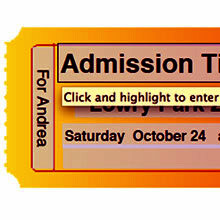 Personalize your own admission ticket with a special place or date idea to surprise your loved one. 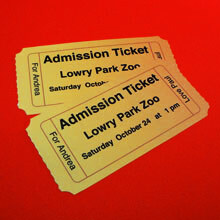 Use the ticket as a love coupon for a planned romantic night or day of fun together. Or make it look like a raffle ticket to win the gift your sweetheart has longed for. Download the template PDF above. Click and highlight the wording in the PDF form fields to personalize text with your own message. There is an extra line of text at the bottom for a total of 4 fields and 2 on the sides. 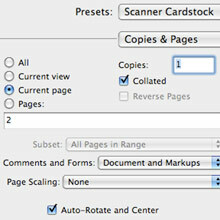 In Adobe Reader, select File, Print (input page number or current page to print page 2 only) and make sure Page Scaling is set to NONE. 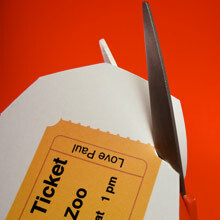 Use the scissors to cut out around the ticket first to make it easier for detailed cutting. 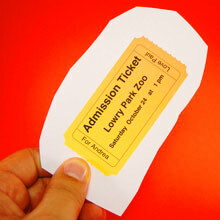 Cut slowly and carefully around the outside of the ticket. Turn the paper into the scissors to cut the rounded edges. 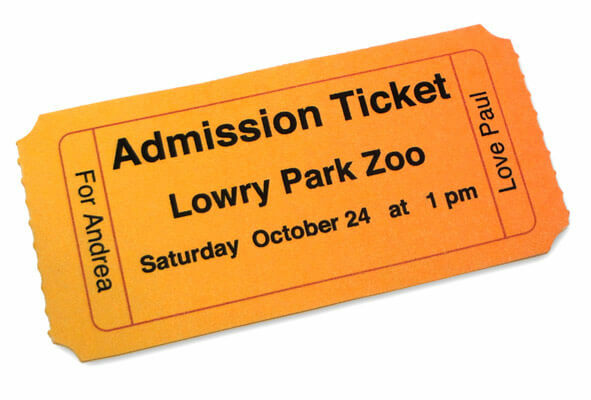 Cut around the small perforations to make the ticket look real. You can print more than one to present to your loved one. Combine with the Cereal Box Prize romantic printable and place tickets inside cereal box as the prize. 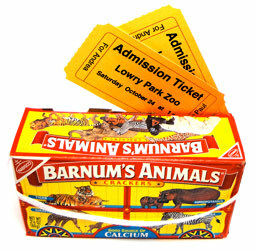 Slide tickets in the back of a box of Animal Crackers if going to the zoo. 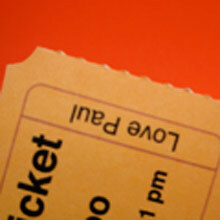 Place tickets in a purse or wallet where your sweetheart will find them.